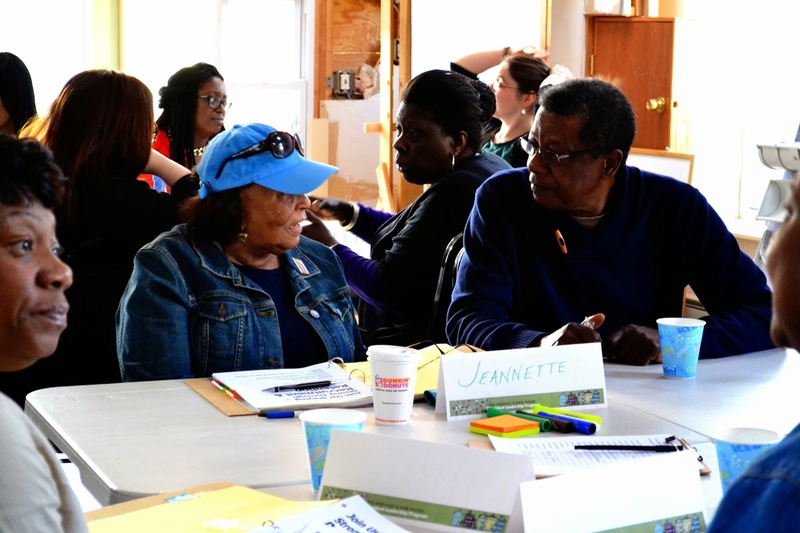 On Tuesday, April 21, the Community Building & Organizing team hosted the third workshop of our 2015 Resident Leadership Program. 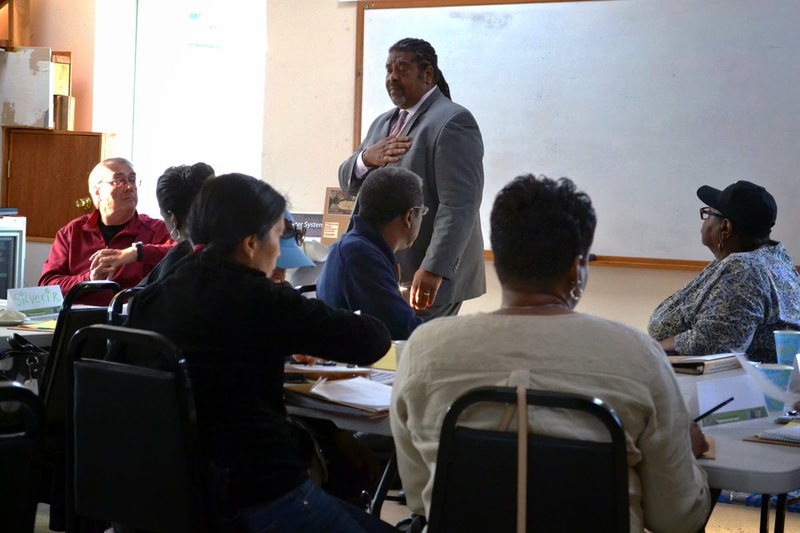 The theme of the workshop was “Staying Strong through Recruitment and Retention.” This workshop was facilitated by Stacy Spell, president of the West River Neighborhood Services Corporation and retired New Haven police detective. Mr. Spell has done a lot work for his community over the years by bringing services to it, creating strategies that deal with food security, and striving for increased public safety. Mr. Spell shared his expertise in the areas of recruitment and development, as well as the challenges that many organizations and groups encounter in building and maintaining a team. His overall message was very straightforward: “keep it simple, keep it real.” He delivered a powerful message about speaking from your heart and modeling behavior that you want to see in other community members. Mr. Spell emphasized that more supporters will be captivated by a cause if you model the behavior you want others to use. Through a variety of group activities, every participant was able to interact and learn how to be concise and effective in speaking about their causes. Being passionate was another important aspect of Spell’s lesson. We learned how to be captivating when speaking about the changes we want to see in our communities, and we learned to develop our thought processes to clearly convey what we want done and how to do it. By the end of the class, Mr. Spell opened up the class for Q&A that quickly turned into an open discussion of challenges and opportunities faced by the class participants. A few of the participants had worked with Mr. Spell in different community events, and they shared their experiences with us. One contributor, Teresa Hines, who is co-chair of Newhallville’s Community Resilience Team and an active participant in all of our RLP classes, surprised us all when she shared that she was once a quiet individual who didn’t know how to voice her concerns before meeting Mr. Spell, who helped her to “get off of the wall and join the party.” Now she is one of Newhallville’s respected community leaders and far from that quiet resident who once stayed on the perimeter of community initiatives. It was incredible for participants to learn that Teresa had applied Mr. Spell’s lessons to her projects so successfully. It also made everyone more excited to go out and apply their new skills in their communities! 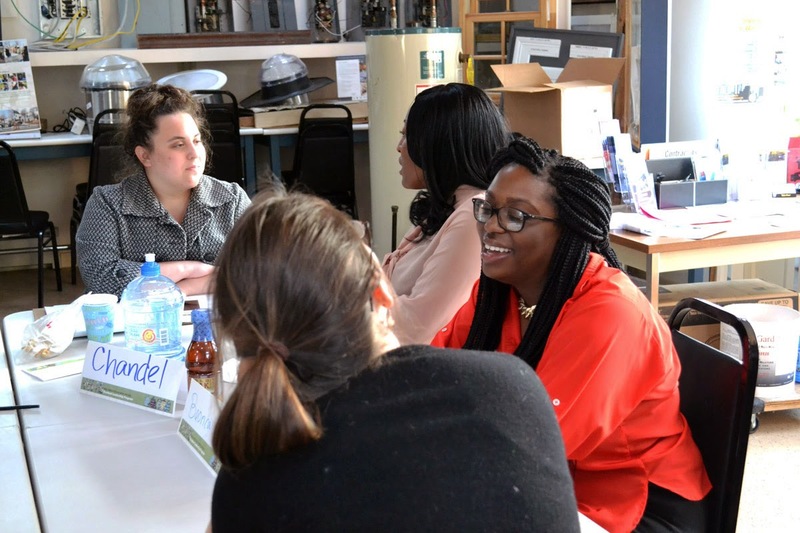 On Tuesday, April 7, the Community Building & Organizing team was excited to host the second installment of our 2015 Resident Leadership Program. The theme of the workshop was: “Let’s Talk! 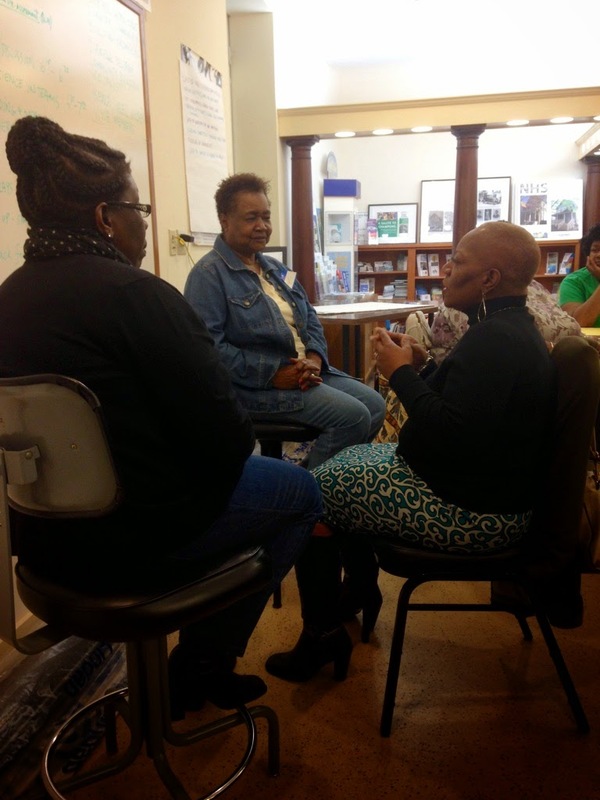 Tips for Effective Communication” and was facilitated by Velma George, a longtime community member and esteemed Neighborhood Specialist with the City of New Haven's Livable City Initiative. Velma shared her extensive knowledge and expertise on the qualities of effective communication and the obstacles that break communication down in our organizations, home life, and professional relationships. Through a variety of interactive activities, Ms. George led the class through concrete communication practice with an emphasis on developing a strong understanding of verbal and nonverbal communication as well as reviewing strong listening skills. The curriculum clearly resonated with the program participants. In the opening ice-breaker, everyone had only two minutes to draft a campaign slogan that they would use if they were running to be the mayor of New Haven, and they were challenged to limit their slogan to only six words. Later, in a unique drawing activity, participants had to sketch a bug creature as Velma described it out loud, but no one was allowed to ask any questions regarding what the bug was supposed to look like. Each interactive activity highlighted the importance of communication skills and different strategies for effective communication. Class participants responded with a candid discussion about how to implement these skills in our own homes and neighborhoods. 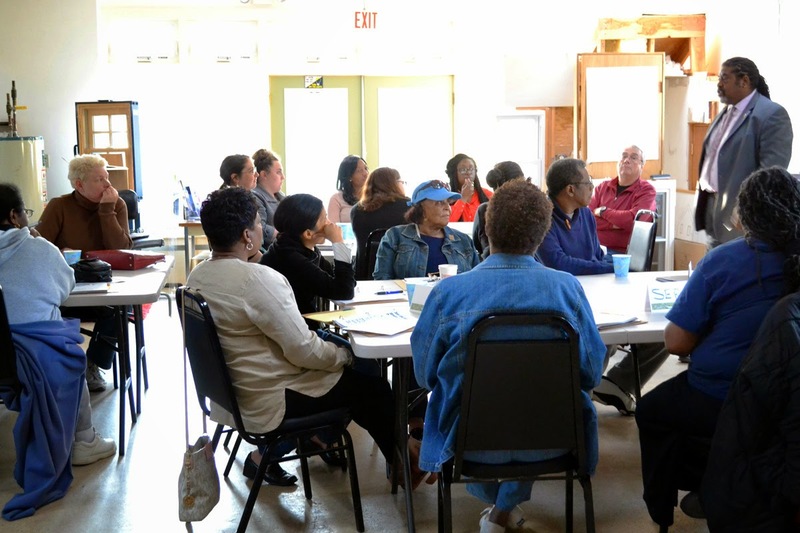 Tuesday night’s event was the second of five workshops that Neighborhood Housing Services is offering as its 2015 Resident Leadership Program. The next workshop will be the evening of Tuesday, April 21st and will focus on “Staying Strong through Recruitment and Retention.” It promises to be an inspiring event, and we look forward to seeing our class return on the 21st! The new community mural would replace this current mural along the Farmington Canal Trail. Last week, NHS’ Community Building and Organizing team was thrilled to learn that we are the latest recipients of a $1,000 grant from the Connecticut chapter of the Awesome Foundation! The Awesome Foundation is a truly unique network of localized chapters whose trustees pool their own money to fund community projects. The awesome project that earned the Awesome Foundation’s grant is a community mural collaboration between NHS and local entrepreneur and artist, Kwadwo Adae. Mr. Adae is the founder, director, and head instructor of the Adae Fine Art Academy in the Ninth Square district of downtown New Haven. He has agreed to lend his artistic vision in helping us to develop a new community mural along the Farmington Canal Greenway in Newhallville, and to engage local residents throughout the planning and implementation process. Neighbors living nearby will have the opportunity to provide feedback on the initial sketching and design of the new mural, and local children will be invited to help with some of the painting early this summer. We are excited to be recognized by an innovative community-based funding network, and we look forward to the ideas, inspiration, and meaningful outcomes that we know will arise from our collaboration with Mr. Adae and the Newhallville residents! Earlier this week, we kicked off our 5th annual Resident Leadership Program! The five-workshop series began on Tuesday evening with the class “Building Winning Teams,” which was facilitated by our own Director of Community Building and Organizing, Stephen Cremin-Endes. For our first class we were joined by participants from various New Haven neighborhoods such as Newhallville, the Hill, Beaver Hills, and West River. The diverse group was able to enjoy delicious food and partake in light conversation and networking opportunities before tackling the first workshop of the series. Our first classed was filled with enthusiasm and open dialogue about what skills were needed to create a “winning team.” Participants in the class worked in groups sharing experiences on past teams they were in and what skills are needed build an effective team. By the end of the class, a few participants were able to show off what they learned by participating in a hilarious skit! The skit allowed the participants to role play team dynamics and the problems and opportunities that can arise in a team setting. We look forward to getting together with this group again for next week’s class “Let’s Talk! Tips for Effective Communication” and look forward to another enthusiastic class!